Unfortunately, there is a large amount of disinformation on the web these days about the sun and the effect it can have on breakouts. As some myths promote practices that are unnecessary but relatively harmless, those related to sun exposure can become downright dangerous. Let's take a look at some of these acne "urban legends" about the sun and discover what the truth actually is. Myth #1-Sweating is good for your skin. It actually cleans out your pores! Interestingly enough, this myth got its start because of something true - the fact that sweating causes our pores to open up. However, just because your pores are opened doesn't mean they will magically become unclogged. In fact, sweating can actually make them more clogged than usual. Sweat, especially the type associated with outdoor activities or exercise, allows dirt and other debris to become stuck to your skin. This can then accumulate and block up your pores, allowing acne-causing bacteria to flourish. So, if you play softball with your friends or run the beach, it is good for your health and life but it will not help your acne. If, on the other hand, you take a steam bath or make yourself a controlled facial steam bath, make sure you rinse your skin very well and use cooler water to close the pores (do not rub, just pat your skin dry), which should be followed by using VERY clean towels and non-comedogenic moisturizers. This will actually clean your skin. Myth #2-Getting a tan is good for acne breakouts. Since acne develops as a result of excess skin oil (sebum) blocking your pores, many people believe that getting a tan and being exposed to the sun's rays will help dry up that oil and reduce acne breakouts. Aside from the fact that there is currently no scientific evidence to support such a statement, the potential negative side effects from unprotected exposure to the sun far outweigh any unproven benefits for reducing breakouts. In fact, since a tan or sunburn dries your skin out, this may produce more dead skin flakes and cause your skin to produce even more pore-clogging sebum. In addition, overexposure to sun will cause inflammation that you do not need to add to your acne. Finally, the dangers of skin cancer are real, so if you're out in the sun, protect yourself with clothing or sunscreen. 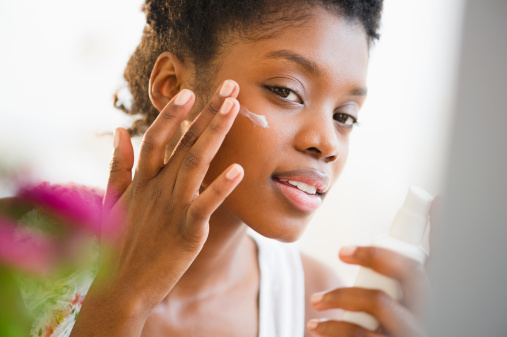 Finding the right sunscreen for your skin type can take some time, but it's well worth the effort to prevent skin cancer and premature skin aging. Myth #3-Acne treatments can help reduce the sun's negative effects. Both over the counter acne products (like those containing ingredients such as benzoyl peroxide and salicylic acid) as well as prescriptive drugs (such as antibiotics, retinoids and isotretinoin) carry a serious warning about sun exposure - they actually amplify your skin sensitivity and may cause serious burns and other side effects such as irritation, inflammation, discoloration, etc. Myth #4-Protecting yourself from the sun can cure your acne. Statements like these greatly overestimate the importance of the sun in the cycle of acne breakouts. While it's true that the sun can make your acne problems worse, it's not a main culprit. Instead, the only way to effectively eliminate breakouts is to target the underlying and internal causes of them-such as your hormonal imbalance. When your hormonal balance is disturbed (which can be caused by everything from puberty to pregnancy) this may cause your sebaceous glands to overproduce sebum. The excess sebum begins to clog your pores, which leads to the growth of acne-causing bacteria, and the breakout cycle begins. 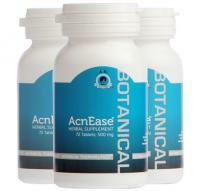 AcnEase is a safe and natural product that can help reduce the effect of hormonal imbalances on your sebaceous glands without actually affecting your hormones and was designed to help you stop your persistent acne. Being smart about your exposure to the sun can help reduce the outward symptoms of acne, but until you're doing something about its hormonal causes, then you can expect breakouts to continue in the future.